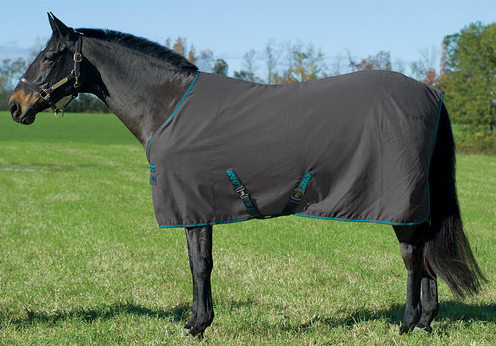 SunShield Long Sleeve Shirt by SmartPak protects your skin from 98% of harmful UV rays. 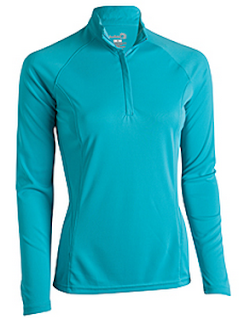 With a UPF rating of 50+, this shirt is lightweight, Australian Versatex material offers the best sun protection available, so you can leave your sunscreen at home and not have to worry about reapplying during those long summer days at the barn. Add a sweatshirt or jacket and you can also wear it to the barn in the winter. 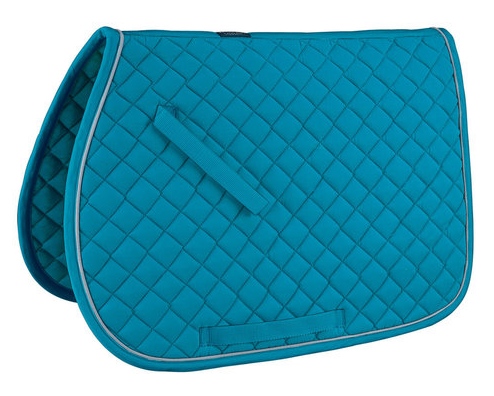 Piper Knee Patch Breeches by SmartPak. Comfortable, soft and flattering fabric mix (63% polyester, 32% viscose, 5% spandex) performs well in the saddle and has great long term shape retention Contoured 2" wide waistband helps eliminate gapping Stylish low rise cut gives you the modern look you crave Ergonomic shaped panel at the calf eliminates bulky closures and annoying seams for a streamlined fit Stretch synthetic knee patch fabric offers fantastic grip and great durability Contrast stitching and pocket trim on front pockets add some fun flair to your riding ensemble Fashionable Euro seat and front zip. Padded Leather Nameplate Bracelet is crafted of American leather with soft padding against your wrist and classic roller buckle closure. 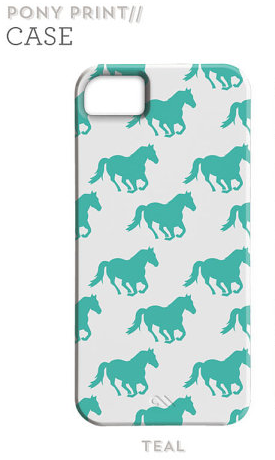 Great option for monogramming the name of your favorite horse, pony, or dog. 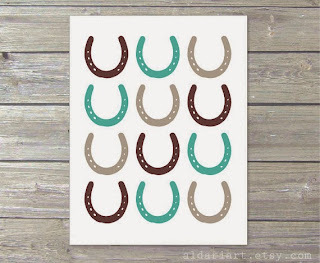 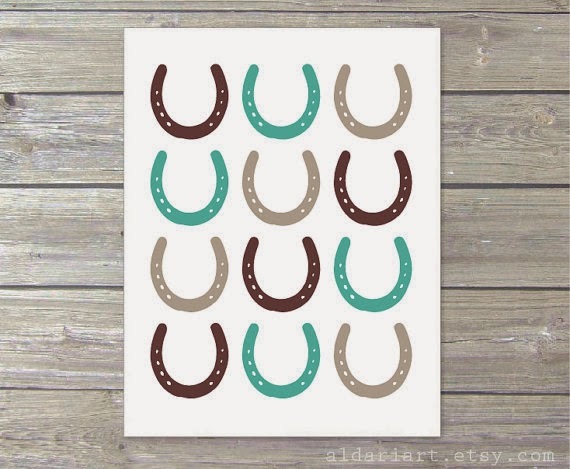 Horseshoe Digital Print is the perfect print to your empty walls! 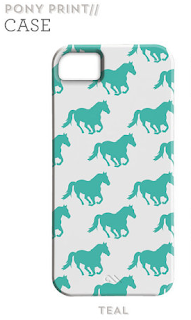 iPhone Horse Print Case is an amazing case with teal horses. 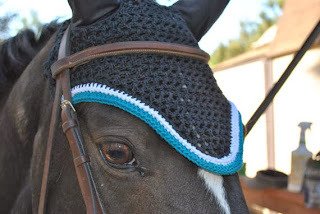 Crocheted Horse Fly Bonnet, Black with Teal Trim has a great teal detail. 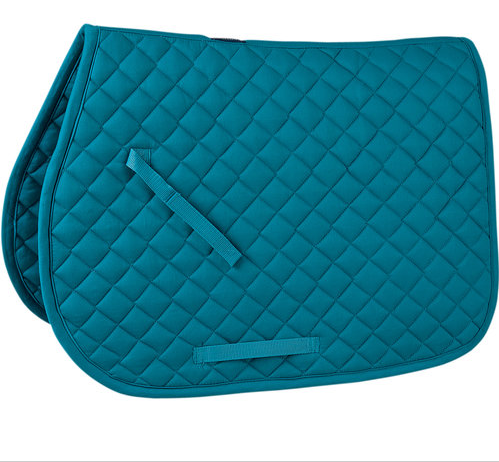 Rider's International Quilted Cotton Saddle Pad is a must-have! Pessoa Alpine Midweight Turnout Rug, waterproof and breathable! 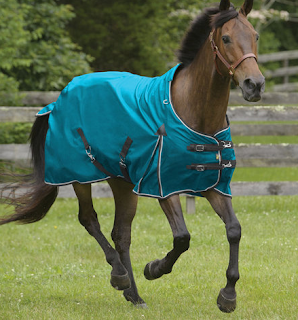 Kensington Platinum 16800D Medium Turnout Rug is also waterproof and breathable. 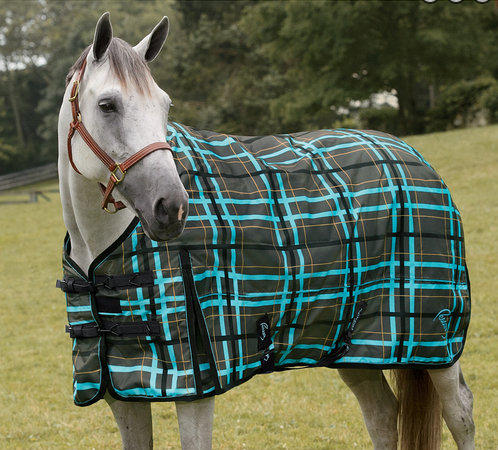 Amigo Cotton Stable Sheet is a versatile dress sheet that can be used for mild weather turnout, in the stable, when traveling or to keep your horse clean before shows. The nylon lined shoulders help prevent rubs.